We are pleased to have Carrie Owerko, a senior Iyengar Yoga teacher from New York back to teach a weekend workshop at Yoga Atma in February 2019. Let’s face it: Motion is lotion and movement is medicine. To some degree it depends on how we practice and how we move. We will explore how our preparations and practices of various asanas can improve the functionality of our joints, create more fluid integrated movement, and improve the quality of our life in numerous ways. We will look how we can improve our strength throughout our ranges of motion, and gain have better motor control in all of our asanas and all of our movements. Fundamental principles and foundational movements will be woven into sequences that progress to some more novel or challenging asanas. This will be nourishing, deliberate practice combined with play–and a healthy dose fun. The intensive is open to all students with at least 6 months experience. Carrie Owerko has been teaching yoga and exploring the relationship between body, breath and mind for several years. She holds a Senior Intermediate Iyengar teaching credential and continues her studies with the Iyengar family by traveling to India on a regular basis, as well as by continuous and in-depth studies with her yoga teacher, Patricia Walden. Over the years she has performed in and co-choreographed many yoga demonstrations, including Live: Light on Life, presented at City Center in NYC during BKS Iyengar’s Light on Life US National Book Tour in 2005. More recently Carrie has created the ‘Playful Practice with the Chair’ series and ‘Road to Bliss’ site. 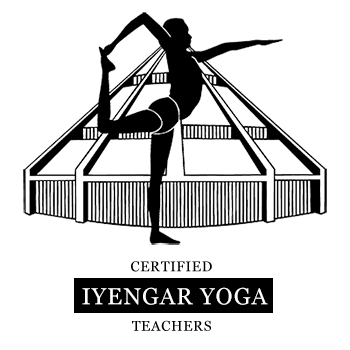 Curiosity, openness and affection are of the utmost importance in her approach to Iyengar Yoga, as is the integration of science, yoga philosophy, and the poetic imagination in the yoga practice.